With strong sales of Apple’s iPhone 7 and high demand for handsets in China and other emerging markets, TSMC has revised up its forecast for full-year revenue growth. For 2016, TSMC said its revenue would grow 11% to 12% in New Taiwan dollar terms from a year ago, up from the previous estimate of 5% to 10%. TSMC’s top customer by revenue is Apple, for whom the chipmaker has a monopoly on iPhone 7 and iPhone 7-Plus CPUs. TSMC also serves Huawei Technologies’ chip arm Hisilicon Technology and MediaTek, the largest mobile chip provider to China. Liu spoke following forecasts Apple and Chinese handset makers stand to gain from Samsung’s debacle with the Galaxy 7 Note, which was jettisoned after multiple reports of its battery exploding. “We are not sure yet how much market share Apple and Chinese smartphone brands will gain following the Samsung incident, but the Taiwanese tech supply chain, which has very limited business from South Korea, would potentially benefit from the scenario,” Rick Hsu, an analyst at Daiwa Capital Markets, told Nikkei Asian Review. 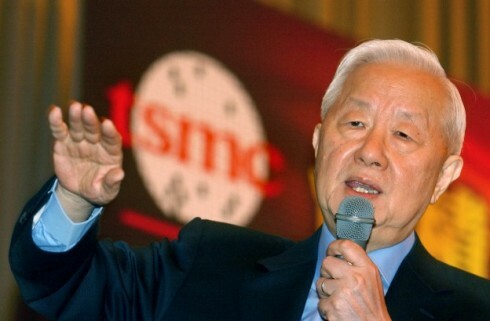 For the fourth quarter, TSMC expects its revenue to range from 255 billion New Taiwan dollars ($8.02 billion) and NT$258 billion, up 25.2 % to 26.7% from a year ago. In the third quarter, both sales and net profit hit a record high. Sales rose 22.5% from the year-ago period to NT$260.4 billion on the back of strong demand in the smartphone and gaming markets. Net profit increased 28.4% on an annual basis to NT$96.75 billion. ← Why Did Samsung Test the Batteries for the Galaxy Note 7 in a Company-Owned Lab?